Several times a day, my daughters and I travel down a sunny dirt road deep in bear country. 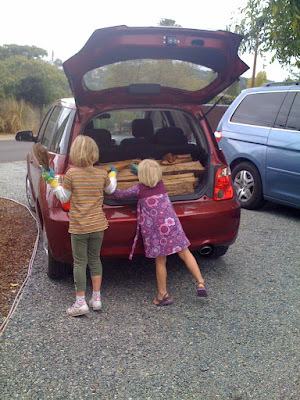 Usually that journey is in the form of a Berenstain Bear Book, our family favorite. But this week we discovered our own sunny dirt road on the way to Half Moon Bay, right before the first rain of the season. 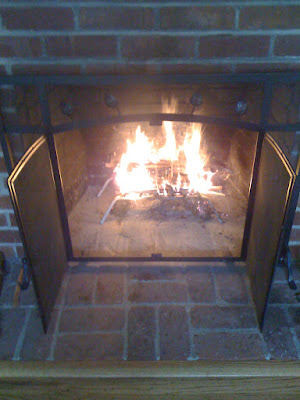 We gathered firewood, unloaded it, and rustled up some good old fashioned warmth. The very next day? 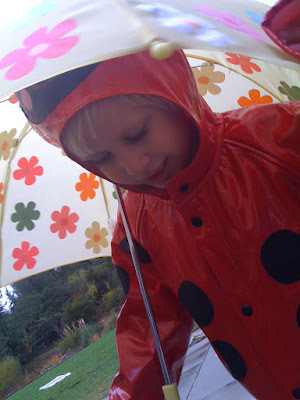 Puddles, rain boots and umbrellas. Not bad for a cozy autumn welcome! More fall colors await at Delicious Baby's Photo Friday link exchange. I used to love these days as a child. I always managed to get my hands sticky with wood sap. Love these types of days. 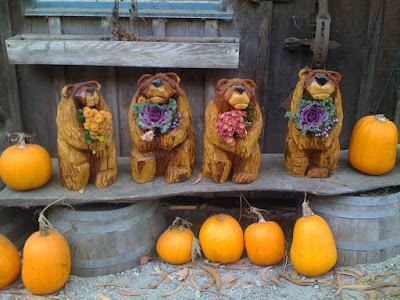 Those carved bears are so cute (and so are the kids). Very cute. I'm sure Half Moon Bay holds plenty of adventures...love that town! I'm having my own cozy autumn weekend in bear country. My sister saw a bear cub this morning outside the cabin..I missed it of course. It sounds like so much fun. I really like those carved bears.